The TechEvo e-commerce platform was created by e-commerce experts for companies that want to avoid the hassle of switching platforms when features or functionality exceed their current platform. You will literally never out-grow our platform. Our robust system includes management for orders, products, inventory, customers, discounts, & email marketing. The standard solution also includes product attributes, categories, variants, and a CMS system for adding and editing pages. Oh and did we mention unlimited blogs? We basically give you everything you need to get started at a reasonable price. When you're ready, you can opt for a forked version of the software. This means we will maintain a customized version of the source code just for you. You can then have the option to customize the front end (what customers see) and the back end (what you and your employees see). Just imagine what you could do! Do you need to add a page to the checkout process? How about adding custom functionality for real-time inventory updates? Or maybe a custom API integration? How about blocking that pesky bot traffic that drains your resources, based on user agent? Whatever you choose, you will never be stuck again. If you are currently at the limit of what your website platform can do and need something more robust, we can migrate your current website onto our platform. If you are starting fresh we can help you enjoy the benefits of a custom e-commerce solution and help you avoid the traps of other solutions. 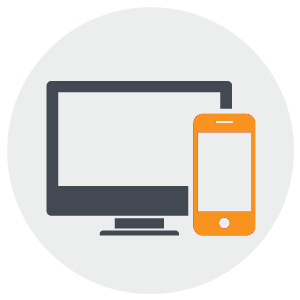 We make you look good on every device: desktop, mobile, tablet, and TV. Your site will be built on the Twitter Bootstrap framework in order to give you the most consistent and highest converting e-commerce website. Even your blog and content pages will look great everywhere. Quickly and easily add blog posts, content pages, photos, videos, and articles to your website. Images are stored on your own cloud storage account for easy access and use. You can write your own articles and add them to e-commerce categories. 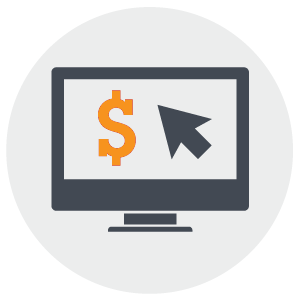 We give you everything you need to create, edit, and manage your web store. Connect with your customers and add value by blogging about your products and services. Creating unique content is a great way to drive natural traffic to your site. 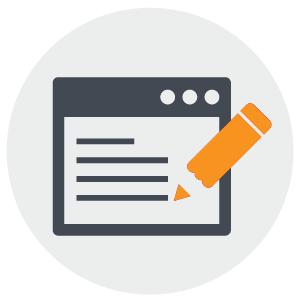 You can manage one or more blogs on your site natively with our built in content publishing platform. You can also auto approve comments that don't contain markup, making your blog secure and easy to manage. By signing up for a merchant account you will gain access to Bill Pay, an easy way to collect payments on your site without the need for checkout. This convenient way to collect payments makes it easy for customers to make payments for services. Make invoicing easy for you and your clients with online Bill Pay. Wouldn't it be great to not have to pay for a separate email solution? Well now you can. 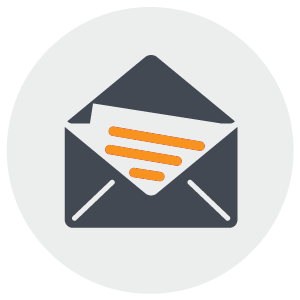 Our built in e-mail marketing tools enables you to mass email your customers on a regular basis. We help you manage your sender reputation in order to make sure you achieve the highest possible deliverability rate. With once click unsubscribe we make email marketing easy. Your site will be lightning fast and will have amazing tools for merchandizing. Turn traffic into dollars by allowing your customers to slice and dice you product offering by product attributes, categories, related products, and upsells. You get unlimited categories, attributes, variants, product reviews, and parent-child products. This is the solution you've been looking for. 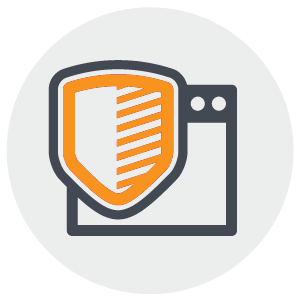 Each e-commerce site comes with an SSL to encrypt data between your site and your customers. The use of TOKENIZATION saves a token to customers credit card, but never the card number itself. This encourages repeat purchases without the risk associated with storing credit card information. 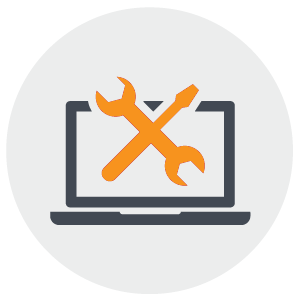 We perform penetration testing and help you with PCI Compliance. Detailed reports are available for sale and inventory forecasting. Your dashboard give you a snapshot of how you're doing. It includes details about sales, blog posts, product rewiews waiting to be approved, total customers, and much more. In addition you can run details reports that drill down to which products sold in which categories and from which brands. Our platform allows you to easily add, edit, and organize products, inventory, suppliers, pricing, and more. Create an infiite number of categories, product attributes, and variants to organize your products, examples include manufacturer, brand, material, size, shape, and color. SEO tools are built in and content is easy to manage. Easily edit all SEO related tags. You can also create marketing emails and a site-wide pop-up is available to show off new services and products. You can also manage product reviews and add related products. You can use powerful built in SEO tools and google analytics to monitor traffic and improve your SEO. it's important to know as much about your visitors as you can. Our sytem creates an order when someone starts the checkout process so that you can see how far they got in the checkout process. Following up on abandoned carts is an easy way to boost sales. 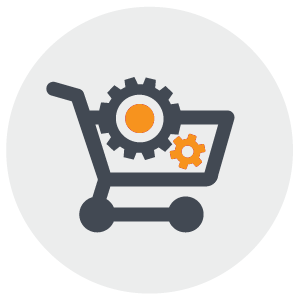 You can monitor all abandoned carts and follow up with customers to help them complete the purchasing process. 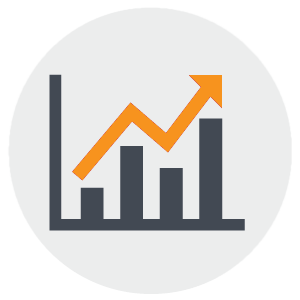 Get useful data and generate sales with this powerful built in tool. Customers want to make sure they find exactly what they are looking for. Our sytem allows your customers to search for your products based on attributes you assign. For example, if you are selling sheds, you can assign attributes based on materials, like wood, plastic, and metal or maybe by size. This helps your customers refine their selection in order to find exactly what they want without having to look through every product. Automatically notify your customers when products are back in stock. When products are out of stock, customers can sign up for product notifications. They can manage their product notifications through their account on the front-end. When you put items back in stock you will have the otpion to notify all customers who have signed up to be notified. An email is automatically sent to everyone signed up to be notified for that product. You can also see which products customers have requested to be notified about in order to give you insight into what needs to be ordered. Inventory tracking is a breeze. By default you can track inventory in a primary and secondary location. If you have a store you can use that to track inventory in the store. If you have a warehouse you can use that as your secondary location. There is a built-in mass inventory editor to easily update inventory. A Content Delivery network, or CDN, is a network of data servers across the internet that serve up digital content, such as text, images and code. This allows your site to run faster and more effectively across a variety of networks and technologies. We make a CDN available on every website in order to make sure your content loads as fast as possible. Geo Redundancy database backups makes sure your data is secure in multiple regions across multiple servers. These are backed up automatically, and can be saved daily. All of this is done by us so you can focus on your business.